Blurb: Escaping unwanted media attention after a notorious incident, Ramsey Hunt retreats into the solitude of a cabin high in the Colorado Rockies. But his isolation is shattered when he rescues a small girl unconscious in the forest and strangers invade his private meadow, their intent to kill. Molly Santera, the little girl’s mother, catches up with Ramsey and her daughter, mistaking him for the kidnapper. When she discovers that he instead saved Emma, there’s little time for thanks. The men pursuing want them badly. Savich and Sherlock as well as MAX, the transvestite laptop, return to assist. Ramsey and Molly, facing constant danger, unravel the clues and ultimately discover why they’re at the center of the target. Review: Ok, so I read the first two books in this series, The Cove and The Maze way back in 2009. And looking back on those reviews, I actually enjoyed those two books. So I’m not exactly sure why I never picked up the third book until 2017… Unfortunately, this book was a little more than disappointing for me. First of all, the entire storyline was way too farfetched for my liking. I mean, come on … a federal judge is going to come across an unconscious little girl in the woods and not go straight to the authorities with her? His whole line of thinking was ridiculous. And Emma’s character (the little girl), I’m sorry but Ms. Coulter did not write a believable child’s character with her. Having two young children myself, there’s no way that either of my kids would ever act like she did with Ramsey. I don’t care what kind of trauma they had been through – it just would never happen. And let’s not even talk about how stupid Molly was. I mean, all three of them were idiotic and completely unbelievable in my book. And then there was the writing style itself. It didn’t flow very smoothly in my opinion. Half the time I couldn’t even make out who was talking. And then it was switch tenses right in the middle of a paragraph! It was absolutely ridiculous! It was just not good writing in my opinion. So yeah. …. I don’t know about reading any more from this series. I have the fourth book on my shelf, but after the fiasco this book was I’m definitely not rushing right to it. I can’t really recommend this book to anyone, honestly. It just didn’t work for me. I just didn’t care for it. Blurb: The stolen Mercedes emerges from the pre-dawn fog and plows through a crowd of men and women in line for a job fair in a distressed American city. Then the lone driver backs up, charges again, and speeds off, leaving eight dead and more wounded. The case goes unsolved and ex-cop Bill Hodges is out of hope when he gets a letter from the man who loved the feel of death under the Mercedes’s wheels…Brady Hartsfield wants that rush again, but this time he’s going big, with an attack that would take down thousands – unless Hodges and two new, unusual allies he picks up along the way can throw a wrench in Hartsfield’s diabolical plans. Review: I borrowed this book from a co-worker. I remember when it came out it sounded interesting, but I’ll be completely honest here … it’s been a really long time since I have enjoyed a Stephen King book. 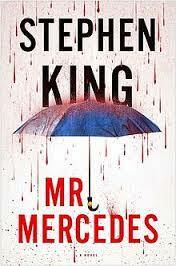 Unfortunately, this book really didn’t prove to be an exception in my recent dislike for Mr. King’s latest works. For me, it was just an “okay” and “eh” read. It probably didn’t help that I started this book in the very last of my pregnancy (when pregnancy brain was in full force) and then finally finished it with a newborn in the house (and sleep deprivation in full force). I think my issue is that this felt like such a departure from the Stephen King works I have liked in the past. I mean, how can you beat Carrie or It? The short answer is … you can’t. But this book really felt like he was dipping his feet into a completely different genre. And it simply didn’t work for me. You want my complete honest opinion … had he cut about 100 pages out of this book, it probably would have been a lot better. There just seemed a lot of unnecessary things going on. Obviously Mr. King has routinely produced very long works, but this storyline didn’t need 436 pages to tell the full story. It could have been done in 336 pages. Very easily. Overall, just an okay book. I can’t say that I would necessarily recommend it. But I finished it, so it obviously wasn’t horrible either. Blurb: More than twenty years and many successes since the start of Kay Scarpetta’s career, her secret military ties have drawn her to Dover Air Force Base and Port Mortuary, where she’s performing autopsies on fallen soldiers. But her new headquarters in Cambridge, Massachusetts – the Cambridge Forensic Center – is the first civilian facility in the U.S. to do virtual autopsies, and it is there that she encounters a devastating event. 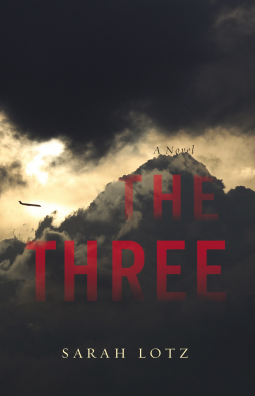 Review: I think I keep hoping that Patricia Cornwell will magically return to her glory days of years past and write an awesome Kay Scarpetta book. And I keep getting massively disappointed. I didn’t like this one. Not much at all, to be honest. To the point where I’m not sure why I even read it in its entirety. But I read it all. And I am so confused it’s not even funny. First, we learn that Dr. Scarpetta is actually Colonel Scarpetta. What? Apparently she spent time in the military straight out of school to help pay off her debt. She owed them 6 years … she only made it 6 months before something happened and they kicked her out. I actually went on Goodreads to read other reviews of this book after I finished to see if this was mentioned by any other reviewers. Apparently this little background tidbit is not something that I have just forgotten about over the years. It really is something that was never introduced until Book 18 in the series. Ok. Why? If what happened to Kay in South Africa is still bothering her all these years later, why are we the readers just now learning about it? Give me a break. I’m not going to spend much time going into the particulars of this book. Let me just tell you that all I came away with is that Kay Scarpetta did nothing but whine and moan about the state of affairs at the Center that she is supposedly the head of. When she finds out that Jack Fielding has let the place go to hell, instead of taking the bull by the horn (like she would have done 17 books ago) and fixing the problem, she just whined to her obnoxiously unhelpful husband about poor pitiful Kay. There were murders that needed solving, and instead of focusing on them, we had to endure Kay’s pity party. Ugh. So yeah. I didn’t like this book. I don’t recommend it. 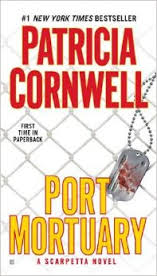 You want a good Patricia Cornwell book …. read one of the first 10 in the series. Then walk away … which is what I should have done, and what I’m doing now. Coroner by Thomas T. Noguchi, M.D. by Thomas T. Noguchi, M.D. First Line: In my memory, as I write, there is a montage of tragic scenes. Dr. Noguchi was the “coroner to the stars.” He performed the autopsies of individuals like Marilyn Monroe, Robert F. Kennedy and Janis Joplin. He was also highly controversial in some of his findings. In this book he finally reveals his true thoughts and feelings behind some of the details of his most famous autopsies. I didn’t care for this book. It started out really good but it just seemed to be quite repetitive near the end. I was really disappointed in it. When I read the description on PBS I thought it would be a lot better and I regret using a credit to order this book. I wouldn’t recommend this book whatsoever.